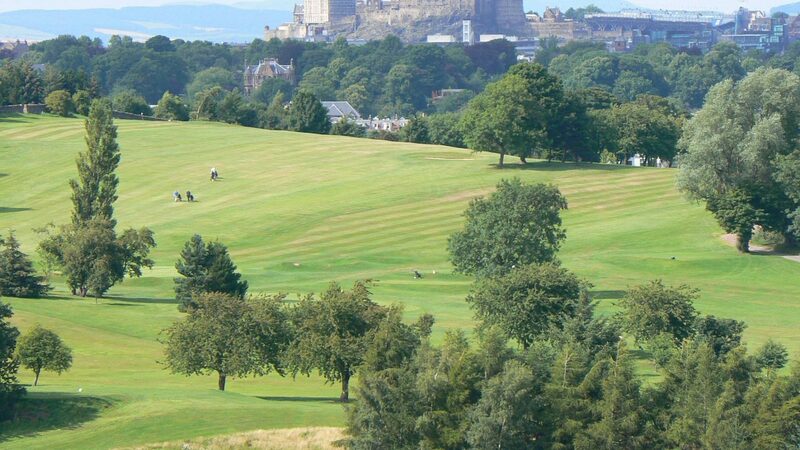 Craigmillar Park Golf Club is blessed with fantastic views down the coast of East Lothian and across the Firth to Fife. A long-established Edinburgh Golf Club, inaugurated in 1895, it moved to its present location in 1927, where the original 9 holes were designed by James Braid. In April, each year, we proudly host the first 72- hole Amateur Order of Merit Event in the Scottish Golf Calendar – The Craigmillar Park Open. Previous winners include Lloyd Saltman, Marc Warren, Craig Watson (Walker Cup Captain) and Sir Nick Faldo. The course measures 5,828 yards, par 70 for men and 5,312 yards, par 72 for Ladies and is a fair and very enjoyable test for any level of golfer. Flights from all major London Airports to Edinburgh Airport then a 20 minute drive on A720. Please contact the club for details on local accommodation. Two practice ranges, practice net. Driving range at Braids Hill GC within 10 minutes drive.